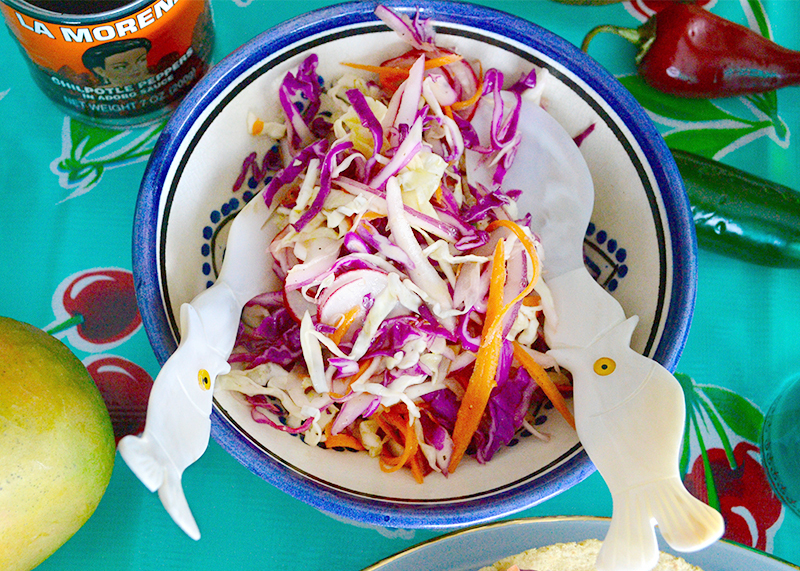 I love fish tacos because they are delicious, easy to make, healthy and fresh. You can serve them in a variety of ways, too. If you want you can also grill the fish. I’ve done it with red snapper—it’s wonderful. I have served them with refried been and cheese, with pico de gallo salsa, and even with chimichurri sauce. And, of course, with different hot sauces like Cholula or Tabasco. You can entertain a crowd by putting out a taco bar and having everyone happily make their tacos to fit their own tastes. Cut the fish into cubes. Season it with garlic, salt, pepper, lemon peel, and a splash of lemon juice. Put the flour in a large bowl, then gradually add the beer and mix well, whisking until there are no lumps. Prep your frying pan by heating 2 inches of oil over medium high heat. 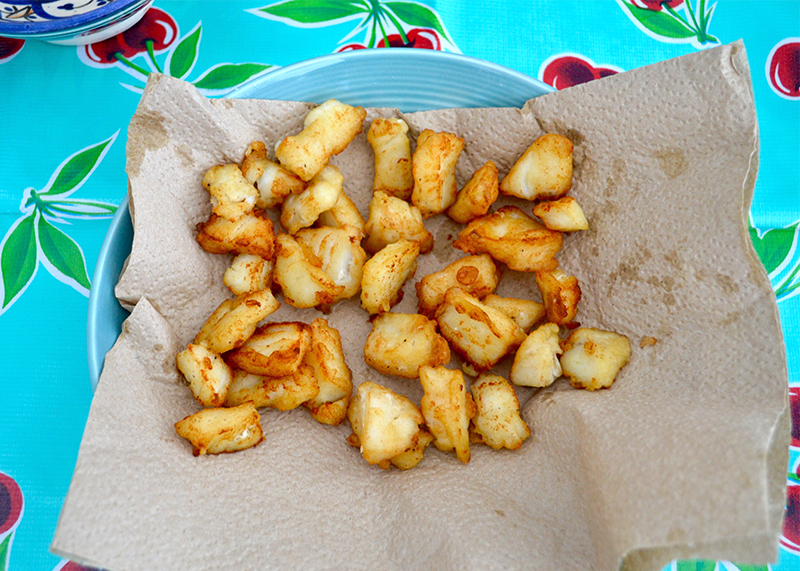 Once the oil is hot, dip your fish into the batter and place them into the hot oil. Cook the fish in batches until they are golden and crisp. Transfer the fish to a paper tower to drain. 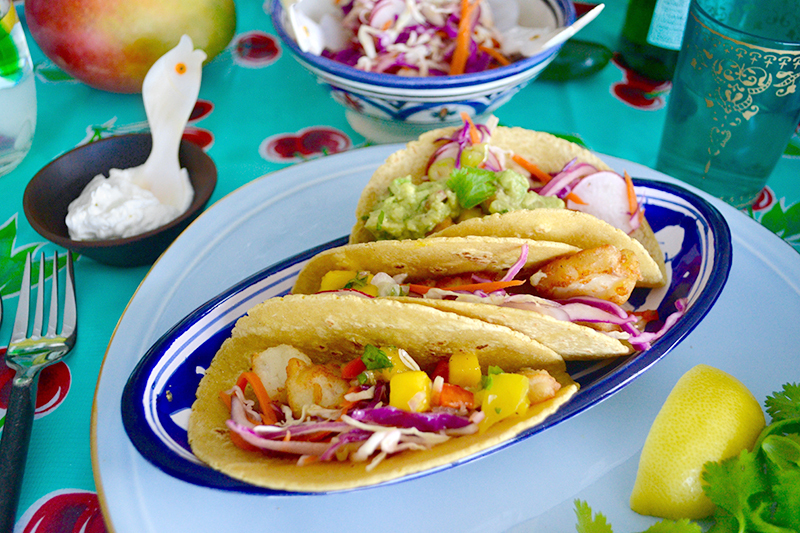 Serve with warm tortillas. 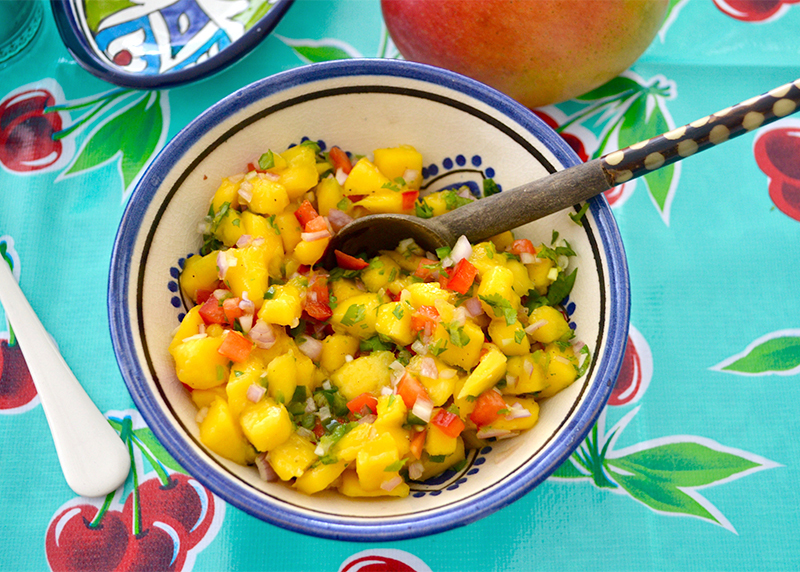 In a bowl combine the mango with the tequila and the rest of the ingredients. Then, refrigerate until you’re ready to use them. In a bowl combine all ingredients and refrigerate until you’re ready to use them. 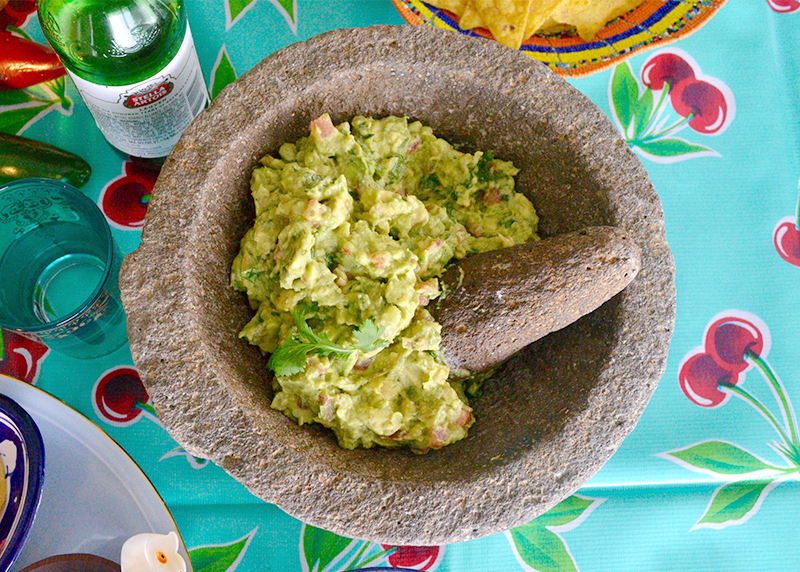 Because I love avocados, guacamole is something I make very often. I have to say it always tastes yummy, but in different ways depending on the variety of the avocado you find or choose to make it with. In a bowl or molcajete, add the avocados and the lemon juice, the onion, tomatoes, jalapeño, and cilantro and combine, crushing all ingredients. Season with salt. Taste and adjust the seasoning until it’s right for you.